Imagine searching for a needle in a haystack. The needle weighs about 100 billion times less than an electron and has no charge. It acts like a wave rather than a particle, and the haystack is the size of our universe. Needles like this may exist in the tens of trillions in every cubic centimeter of space—the trick is proving that they’re there. That is the mission of the HAYSTAC Project at Yale, which stands for the Haloscope at Yale Sensitive To Axion Cold Dark Matter. HAYSTAC is a collaboration between Yale University, University of California, Berkeley and University of Colorado, Boulder. The project is based here in the Wright Laboratory, lead by Professor Steve Lamoreaux and a team of Yale scientists and graduate students. The scientists began their project about five years ago and released their first results this past February in The Physics Review Letters. The first author was Yale graduate student Ben Brubaker. 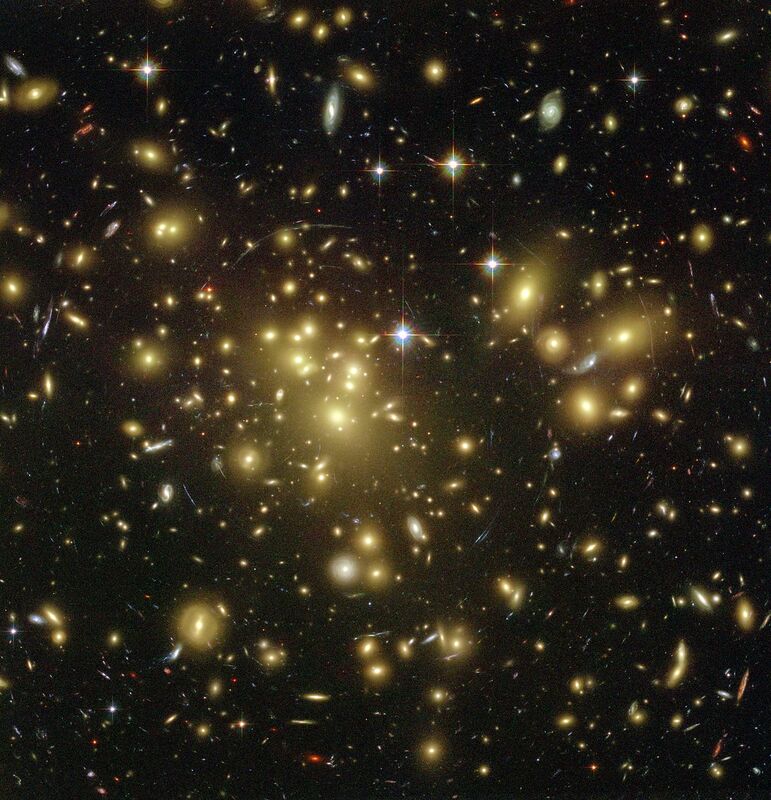 “The goals of the experiment are to detect dark matter, or failing that, to at least rule out some possible models for what dark matter is,” explained Brubaker. “In simplest terms, dark matter started out as an astrophysics question: that is, there is more mass in the universe than can be accounted for by the mass we can see [through] all the wavelengths we can detect: visible light, radio waves, ultraviolet.” Dark matter is the “invisible” matter. The HAYSTAC project is dedicated specifically to the detection of the axion, a subatomic particle that was proposed in 1983 as a likely candidate for dark matter. Like the aforementioned needle, axions are theorized to have almost miniscule mass, no charge, and no spin. Based on the gravitational movement of stars and galaxies, we know that 80 percent of the matter in our universe is dark matter, but axions interact with other matter so weakly they become almost impossible to detect. Because they are so light, they have very little energy and behave more like waves than particles. As a result, the scientists must employ an unusual identification strategy to find them. The HAYSTAC axion detector probes the universe for axions, a potential candidate for dark matter. No image credit. The HAYSTAC detection device essentially produces a magnetic field that converts the axions to photons. The frequency of oscillation of the photons is determined by the mass of the axion. Therefore, when the detector is tuned in to one specific frequency at a time, it can amplify these oscillations to make them detectable. “Our detector is in essence a tunable radio receiver, and we painstakingly tune the receiving frequency looking for an increase in noise. It is like driving through a desert looking for a station on the car radio: you tune slowly in hopes of finding something,” said Professor Lamoreaux, the head of the project. In the February report, the team demonstrated its recent breakthroughs in design: they had achieved sufficient sensitivity to test out much higher frequencies in the potential mass range than ever before. By incorporating technology from other fields such as quantum electronics, Lamoreaux and his colleagues have made the detector colder and quieter than any of its contemporaries, eliminating as much of the background noise as possible. According to Brubaker, the device is kept at about 0.1 degree Celsius above absolute zero, the unattainable temperature at which atoms physically stop moving. Freezing temperatures are critical for sensitivity because a major source of noise is thermal radiation: photons being shed by matter and interfering with the detection of axions. 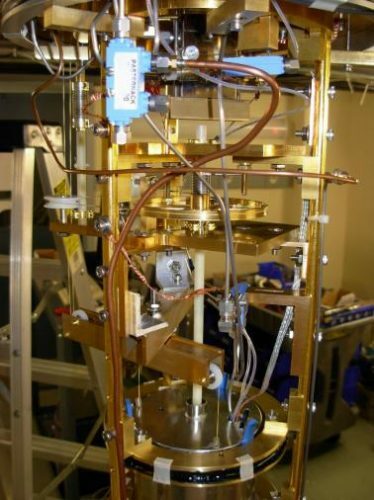 The size of the detector scales inversely with the mass range being tested, so the Wright Lab instrument will only be able to search a small portion of the wide range of possible dark matter masses. However, the team has proven they have a design with the sensitivity capability necessary to perform these sweeps. Their design is a pioneering model for the future.